Superstar winemaker, Tony Rynders, crafts some outstanding value wines for his offshoot winery, Child's Play. Tony Rynders has his deft hand all over the Oregon wine industry. 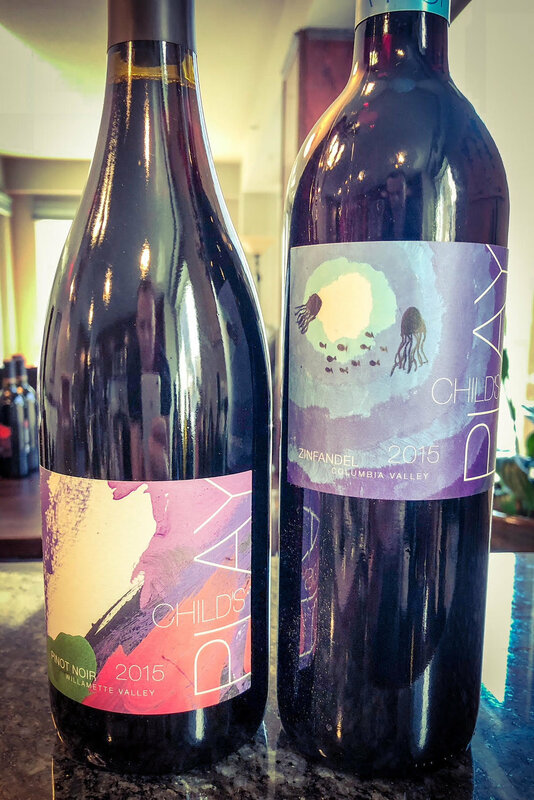 Originally modeled after drawings made from his two children, Child’s Play is an exciting side project winery by Tony Rynders that carries incredible quality for an uber-low price. Tony was former winemaker at Panther Creek and Domaine Serene, before starting his own winery, Tendril. He currently consults for roughly ten Oregon wineries. I have noticed a marked difference in quality in the lineups of several wine programs which he has taken over. His distinctive winemaking style focuses on richness, texture and elegance. Look to his outstanding new 2017 Child’s Play Rose (WWB, 91) which has outstanding minerality and tension with the red fruit flavors. Tony has formerly made wine in Washington state for many years and he has sourced his outstanding new Zinfandel from the Columbia Valley. The 2015 Child’s Play Zinfandel (WWB, 90) is forward, with beautiful astringency and richness. This downright delicious wine is a killer value. Learn more about this outstanding offshoot winery at https://tendrilwines.com/wines/childs-play/ Here are the great new wines by Child’s Play.